Durable but soft, CLEANIT Standard Bathroom Tissue is the perfect choice for any restroom. 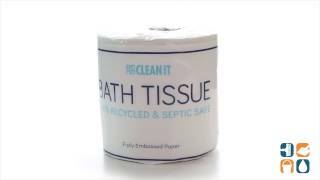 This 2-ply toilet paper is an eco-friendly, affordable option that is 100% Recycled and Septic Safe. 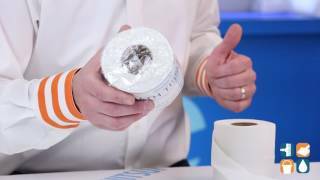 With the roll individually wrapped, CLEANIT Toilet Paper is a hygienic choice as it stays clean and dry while in storage. A great economical alternative to more expensive name brands, this embossed toilet tissue is the perfect choice for offices, schools, commercial facilities and residential homes. Stock up on CLEANIT 2-Ply Standard Bathroom Tissue today and save! - Ships from our North East Region Pennsylvania warehouse. Shipping transit time may be longer for customers outside the North Eastern Region of the United States.